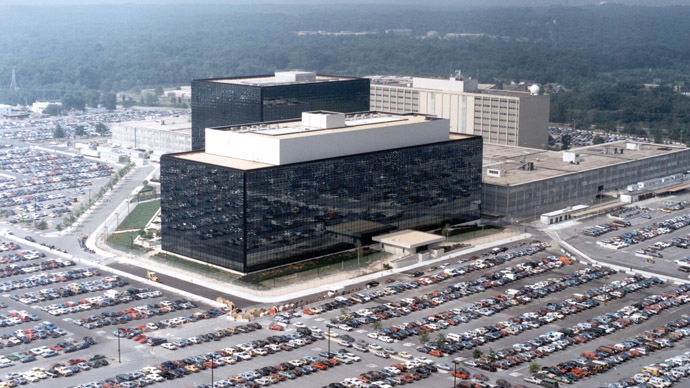 A three-member panel of federal appellate judges has unanimously ruled against the National Security Agency’s bulk metadata collection program, but lawmakers in the legislative branch are still split when it comes to surveillance. The Second Circuit said early Thursday that a lower court had erred in dismissing a lawsuit filed against the United States in 2013 after Edward Snowden, a former intelligence contractor, disclosed evidence of an on-going program in which the phone records of millions of Americans are given to the government on a routine basis. Top-secret documentation proved for the first time that the National Security Agency interprets a section of the Patriot Act to justify the dragnet collection of telephony metadata, and within days the American Civil Liberties sued James Clapper, the US director of national intelligence, over what they alleged to be a government-sanctioned effort brimming with constitutional violations. Nearly two years after that first Snowden disclosure, this week’s ruling sends the ACLU’s suit back to the District Court. However, the controversial Patriot Act provision—Section 215—is scheduled to sunset in a matter of weeks unless lawmakers agree on a reauthorization bill. In issuing this week’s order, Justice Gerard Lynch says “we deem it prudent to pause to allow an opportunity for debate in Congress that may (or may not) profoundly alter the legal landscape.” Indeed, that debate is already erupting in the hours after the Second Circuit’s decision. “Today’s federal appeals court ruling confirms what we’ve been saying all along: bulk collection of data is not authorized under the law and is not accepted by the American people,” Reps. Bob Goodlatte (R-Va.), John Conyers (D-Mich.), Jim Sensenbrenner (R-Wis.) and Jerry Nadler (D-N.Y.) said in a statement. On the floor of the Senate, however, attitudes were quite the opposite on Thursday morning after news of the ruling trickled out. “It’s pretty clear that 9/11 could have been prevented if we had known about some of the communications that were linked to those who committed the terrible atrocity of 9/11,” McCain said, echoing the majority leader’s remarks. “People seem to have forgotten 9/11,” he said. “Now what’s bulk data? Bulk data is storing telephone numbers and IP addresses — we have no idea who they belong to — that are domestic. And the whole basis behind this program is that as a cell phone is picked up in Syria, and you look at the phone numbers that phone talked to, if there’s some in the United States we’d like to know that — at least law enforcement would like to know it — so that we can understand if there’s a threat against us here in the homeland [sic] or somewhere else in the world,” Burr said. Maybe someone should sue DOJ for all the times they said, "oh, Internet dragnet under PATRIOT? We shut that down in 2011." Press representatives for Sen. Burr did not immediately return requests for comment, specifically regarding whether or not the lawmaker misspoke when he remarked about Sec. 215 being used today to collect internet records in bulk. “We continue to work closely with members of Congress from both parties to do just that, and we have been encouraged by good progress on bipartisan, bicameral legislation that would implement these important reforms,” Price added.